According to the Solar Energy Roadmap, released by Turkish PV association, Günder, the country may even achieve 38 GW of installed solar power by 2030. Several factors, however, could hinder this projected growth. Turkish solar energy association, Günder has released a new Solar Energy Map, which predicts that PV could reach a cumulative capacity of around 14 GW in 2023. This means that an additional capacity of more than 11 GW will have to be deployed in the country over the next five years, given that in mid-2018, total registered unlicensed solar power reached 4.8 GW (AC), according to the association’s report. Günder further believes that solar has the potential to reach a cumulative capacity of 38 GW in 2030, thus more than tripling the projected capacity for 2023. 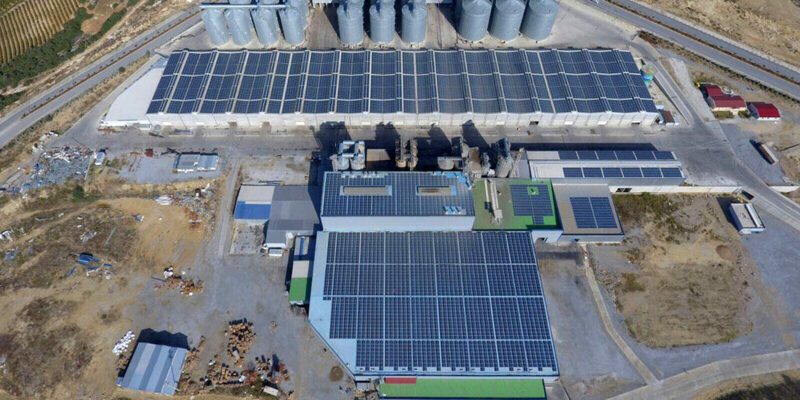 If achieved, the expected 2030 milestone will exceed the 15 GW solar target set by the Turkish government for 2027 by more than 20 GW, the association continued. The report also cites, as reference, the recent study, “Increasing the Share of Renewables in Turkey’s Power System: Options for Transmission Expansion and Flexibility”, which was recently published by the Shura Energy Transition Center, a Turkish entity founded by the European Climate Foundation (ECF), Germany’s Agora Energiewende and Istanbul Policy Center (IPC) at Sabancı University. It predicts that, under the most favorable development conditions, solar and wind could reach a cumulative capacity of 30 GW by 2030. The authors of this study also found that reaching 40 GW of wind and solar is achievable without additional investments by local state-owned grid operator, TEIAŞ, for improving the country’s power transmission system. Back to Günder, the association said in its report that the aforementioned milestones can only be achieved if domestic production of PV technologies is fully established, and if a clear regulatory framework for the decade beginning 2020 – when the current scheme subsidizing unlicensed projects up to 1 MW will expire – is established. Improvement of financing conditions and bureaucratic procedures for the development of PV projects of all kinds is also said to be necessary, in order to realize these ambitious goals. The achievement of the milestone will further depend on the country’s macro-economic situation, as the recent drop of the local currency has shown. This year, the local PV market is not expected to experience the same big growth it registered between 2016 and 2017, in which around 2.5 GW of solar was grid-connected, with registered unlicensed PV capacity reaching 3.39 GW. As for the financing issues, in July, the Turkish Government extended the possibility of using foreign-currency financing for unlicensed PV projects with a capacity of up to 1 MW, and which were approved by June 21, 2018. Although the segment of the unlicensed projects may see a slowdown in the short-term, further growth could be ensured by the upcoming tender for 1 GW of large-scale solar (with domestic content requirements) and the soon-to-be approved provisions for solar net metering up to 10 kW.